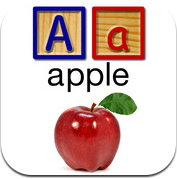 Janes ABC’s 123’s is a perfect preschool app! A great educational app presented to us by JANES Works Co. The app covers ABC’S and Numbers with bright images and great audio. It also includes Shapes and Colors! The perfect primer for our little ones in the form of a flashcard app. For our preschool kids this is a great start on colors and shapes as well. We all know how much kids love a challenge and they are learning to master them younger and younger these days. In many ways, I think that is because of the great educational and enticing apps we have available for them. JANES ABCs 123s – JANES Works Co.
What was the initial inspiration for ABC’s 123’s? Our youngest boy was learning to read and we wanted to build an app to help him prepare for kindergarten. From this desire JANES ABCs 123s was born. That kids can laugh and play while learning their ABCs, Numbers, Shapes, and Colors with JANES ABCs 123s, and that our youngest child’s elementary class sings the ABC song (available soon in an upcoming update). 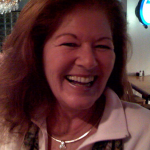 JANES Works Company loves to create educational and entertaining games, apps, and books. We have lots of great kids learning apps and interactive books coming soon, including a beginning-reader series called Jim & Ann Books that will be phonetically leveled. Happy New Year everyone! !